At the age of 25, I became Head of Science at a challenging school in West London. It had not been my intention. Just two terms earlier, I had joined the school as second in science, expecting this to be my role for the next few years. However, once on deck, I learnt that the Head of Science was leaving; something that everyone had somehow forgotten to mention at my interview. After a brief period during which a senior leader took charge, I got the job. Those were my clubbing days and I probably wasn’t ready. I looked around and searched my experiences for examples to follow. The school had no overarching behaviour policy at that time, which made life difficult and resulted in the science department having to pursue its own approach. I decided that I needed to take some tough classes and I took on one of the most challenging groups in the school. Challenging classes are difficult in a variety of different ways. For this group of students, the issue was that they just could not seem to get along. There were constant arguments which threatened to turn physical and which often derailed my plan for the lesson. I tested what I had learnt about classroom management against the reality of this group. I deployed a wide range of strategies. Yes, I warned students and set detentions, but the technique that had the greatest overall impact was positive reinforcement. “I can see everyone on the back row has written the date and title and started the task. Well done guys, that’s just what I want to see,” I would say and then the students on the middle row would get the hint and pick up their pens. Teaching in a school is the point where theory crashes into the hard reality of a classroom full of students. It is not the same as teaching a group of young adults who have chosen to be there. It is definitely not the same as working one-to-one with a child in a therapeutic role. This is why many teachers are wary of the next big idea and why they are wary of absolutes. I have remarked before that the statement, “All behaviour is communication,” is a ‘deepity’, but it is worth considering what it is that motivates people to make such statements. Do they assume that teachers do not understand that children often have challenging family circumstances or suffer from trauma? Do they think we haven’t realised this? One of the most challenging students I have taught was a refugee from the war in Kosovo who had endured terrible circumstances that I will not detail. I knew his background. I understood it as well as anyone who has not had that experience can understand it and I could see why this led to him acting in the way that he did. Unfortunately, understanding was not enough because he still behaved in the classroom in ways that disrupted the learning of others and sometimes threatened their safety. I needed practical strategies. I needed to know what to actually do in that situation. The voices of non-teachers which, frankly, are the voices that have been telling teachers what to do for much of the past century, are unconstrained by classroom realities. This is why they can call for ever more differentiation without feeling the need to detail how this can practically be achieved. This is why they can afford to have ideological, principled objections to things such as school exclusions or ability grouping or testing or anything that is ‘punitive’ or, latterly, ‘neoliberal’. They don’t have to trouble themselves as to why these things may exist in the first place, what purposes they might serve and what practical alternatives may be developed. They don’t need any alternatives because they don’t have to deal with the consequences. When teachers voice concern about England’s Chartered College of Teaching being run by people who are not practising classroom teachers, it is not from a position of disrespect. 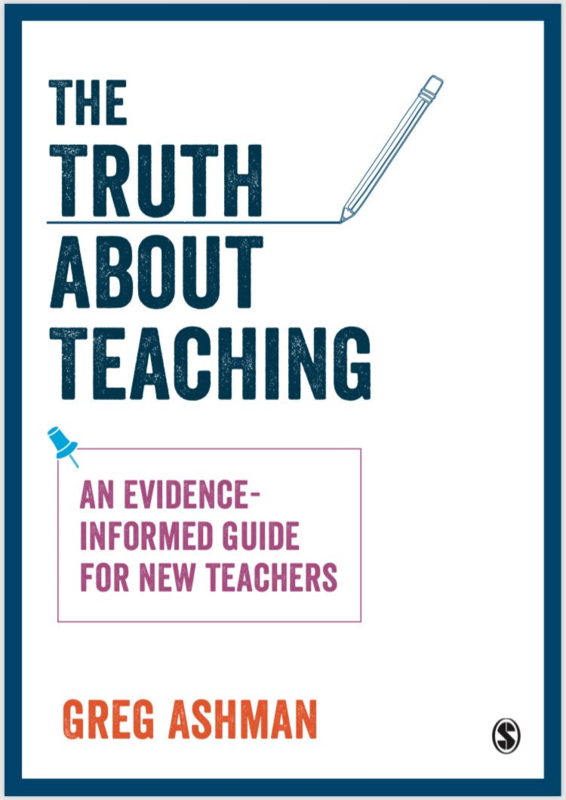 If nothing else, the huge popularity of researchED demonstrates that teachers are crying out for evidence from expert voices, many of whom are professors of psychology or other researchers who are not teachers. Instead, the concern is that these bodies will be seen by the wider community as representing the authentic voice of teachers when they do not. Teachers have no general enmity towards educationalists and bureaucrats. This is not a zero sum game. For teachers to gain a voice in their own profession it does not require others to lose theirs. The only way it could be seen as a loss is if people fear what teachers might say. At the moment, we have no such professional voice. England’s Chartered College looks like it will not be able to provide one and I see no organisation that is capable of doing so in Australia. This social media moment is all we have, for now. So let’s grow it from here. Let’s talk to each other and let’s make our voices heard in the community. Let’s make it less and less acceptable to exclude teachers from debates about education. Let’s write and publish and meet and organise. Nobody will do it for us. It is our profession and it is up to us to make our voices heard. Previous Post Mental health crisis or moral panic? There was an organisation, or rather a group of organisations, that was supposed to do that in Australia. The Teachers’ Institutes. An advocacy body for teachers, apparently, when they started. Well, they’ve now morphed into organisations dominated by either ex-teachers, failed teachers on non-teachers, they do not advocate for teachers at all, they collect extortion money every year for accreditation, and they are, in short, a millstone around teachers’ necks (particularly young teachers starting out). This is where this kind of thing leads. If there is ever going to be a proper advocacy body for teachers centering around pedagogical/classroom issues (as opposed to pay and conditions issues, which are the domain of the unions), it needs to be not just at arm’s length from government – it needs to be completely, unequivocally separate from government. I think it is helpful when unions concentrate on pay and conditions only. From experience, when they venture into pedagogy and classroom issues they lose their footing. Sad but true. I find it hard to forget the head of my own union describing advocates of proper phonics instruction as “[education’s] equivalent of the anti-vaxxers”. A head-in-hands moment. Another important aspect of classroom behaviour is tackling the “enablers” – the ones who laugh at and subtly (and not-so-subtly) encourage the poor behaviour of others. If anything, I think it’s more important to tackle these habits and reinforce to them why ignoring it is the best (and, let’s face it, easiest) way to go. But this works best when it is consistent across the school – for example, the principal constantly reminding students at assemblies and such that “if you laugh at another kid carrying on in class, it’s just as bad as the poor behaviour itself: don’t be surprised if you get punished for it as well, and don’t come crying to me if it does happen”. The kids acting out are quite often the ones who need more patience and understanding from teachers. That’s why it’s preferable to go in hard against the “enablers” who are vicariously participating in the poor behaviour itself – they are generally just stirrers who probably have no problems at home. There’s certainly some truth to that, and I know the “enabler” type very well. But at the same time it can become difficult when you haven’t got something concrete to pin on the “enabler” – they can sometimes then present it to his/her acolytes as a case of arbitrary authority on the teacher’s part, which can cause problems later on. Seating arrangements are v. important there too – if ever I’ve come across a situation where one smart and devious kid is obviously looking to get a rise out of a combustible classmate, I make sure they’re at opposite sides of the room. “The voices of non-teachers which, frankly, are the voices that have been telling teachers what to do for much of the past century, are unconstrained by classroom realities.” So true! And not just the CCoT. The same applies to so many lecturers in education. Your comments are so true and it does concern me. I was lucky enough to be invited to a meeting about Diplomas when they were about to become the next big thing in education in England and Wales. I was amazed to see I was almost the only teacher in a room which was full of DfE representatives and buusiness leaders. In effect, I was the only person who taught children in a school. Whilst there were many wonderful ideas about designing courses which would prepare children for the world of work I was met by quizzical glances when I pointed out that the suggestions would lead to tiny class sizes which schools couldn’t afford to run and that 14 year olds would never choose a course which meant leaving their friends for part of the week and traveling to another school. Such basic school managment issues of financially viable class sizes and peer group issues not being understood was very worrying. More recently I atteneded a meeting to look at the barriers to success for disadvanaged children. I sat next to a representative from The Chartered College of Teaching. This person was not a teacher. I was hoping that they would listen to the dicussions in a room full of teachers and hear what our conerns were as well as our sucess stories. Instead, this person spent the whole meeting with their laptop open, doing work which was completetly unrelated to the meeting – such a shame! I was also involved in trying to get diplomas off the ground. They always seemed impractical.